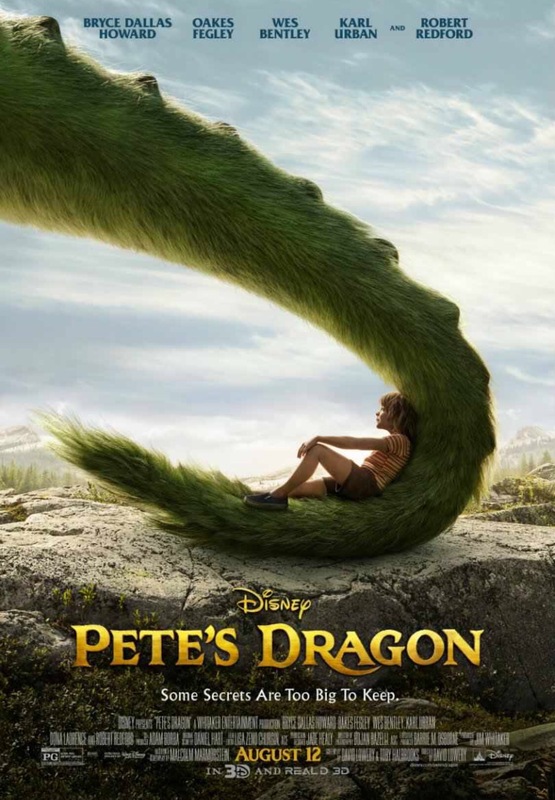 The original 1977 Pete’s Dragon film is not really considered a Disney classic but it stood out because of its mix of cartoon and live action. Clearly other films had done this before, notably Mary Poppins, but this was the first high profile movie to have a single key character created by cel animation. Then Roger Rabbit came along eleven years later and the film was properly consigned to history. Now of course live action and animation are combined all the time, albeit with the artificial components made to look realistic with CGI. The technology may have moved on but when the T2000 and Gollum and Jar Jar Binks turned up on our screens they were essentially using the same technique. How then can a contemporary remake of Pete’s Dragon hope to stand out? Having seen the film I have to say the answer is it can’t. The movie is charming enough but the film is unremarkable. Unfortunately the storytelling is fairly basic and the plot entirely predictable. On the up side Bryce Dallas Howard plays a nice mix of awe, wonder and fear when confronted with the titular beast (you’d think she’d be used to this sort of thing after Jurassic World) and the kid, Oakes Fegley, is particularly strong (if only they’d found someone as good for The Jungle Book). Like so many of Disney’s films the story is driven by parental death which is genuinely moving but while it is all perfectly entertaining for young children it is pretty inconsequential. The one thing that is a little different though is the design of the monster. They’ve kept the colour from the 1977 version and the ability to disappear is retained, which is convenient for the plot, but the beer belly has thankfully gone. This time round the dragon is essentially just a very big, winged dog. Canine characteristics have been given to screen dragons before, most successfully with Toothless, but this creature has the fur and the snout too. In a crowded arena of movie dragons, this one does have some originality. The aforementioned Toothless, lead lizard of the How to Train Your Dragon films, has more. He is a brilliant combination of personality and design and terms of voiceless animated characters he is easily equal in expressiveness to Gromit. He also has a much more symbiotic relationship with his owner. He’s small and he’s nippy too which leads to some very exciting flight scenes. 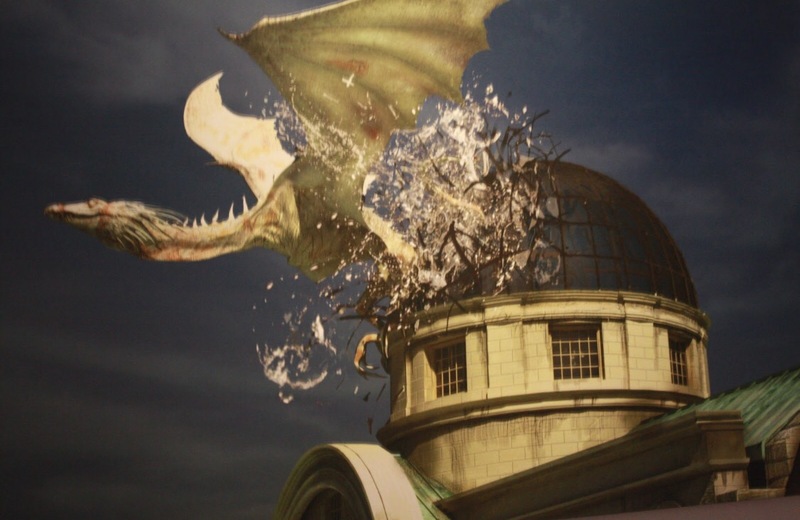 There are a number of winged serpents in the Harry Potter films but the Gringott’s dragon is the most memorable. Sure Norbert had his moments but that dragon escape scene in the penultimate movie is properly audacious. The creature itself is a being of great pathos too; locked underground as an inhumane security system and pale and half blind from lack of sunlight. When it breaks through the roof of the bank you are as pleased that he’s got out as much you are about Harry, Ron and Hermione. Maybe we’ll get to see him in his more youthful state in the Potter prequel Fantastic Beasts in November. 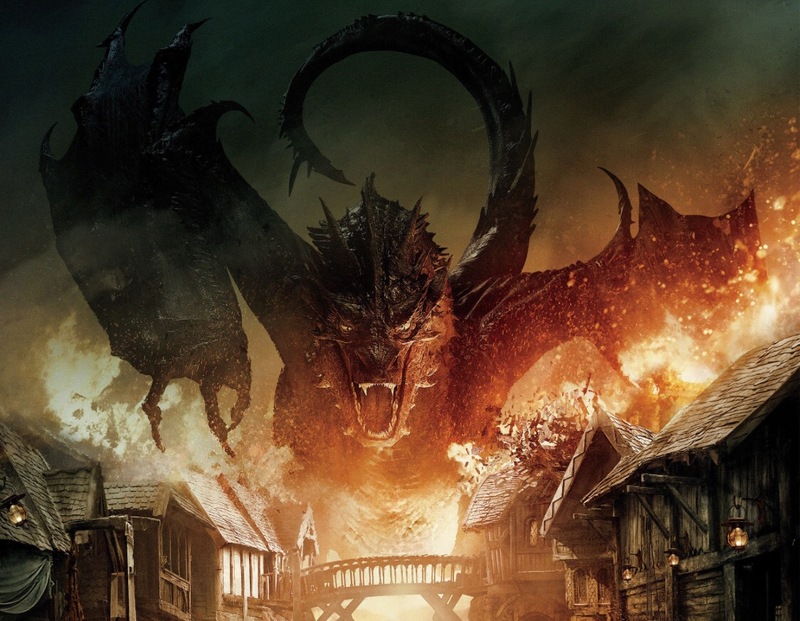 It may be a little obvious but I have to mention Smaug. He talks too much for sure but he’s a magnificent beast and is a suitable cinematic realisation of one of literature’s most famous dragons. When he is swooping over Laketown that is, not when he’s spending hours pompously padding round his cave and limply padding out the story in The Hobbit, part two. 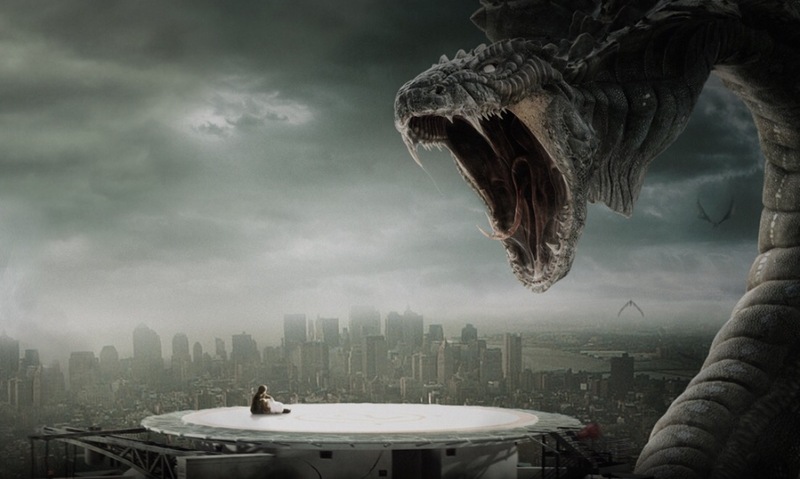 There are problems with Robert Zemeckis’ version of Beowulf but the depiction of the dragon isn’t one of them. The original poem is actually the earliest know record of a European style fire breathing dragon so this creature is the granddaddy of them all. He doesn’t show his age. 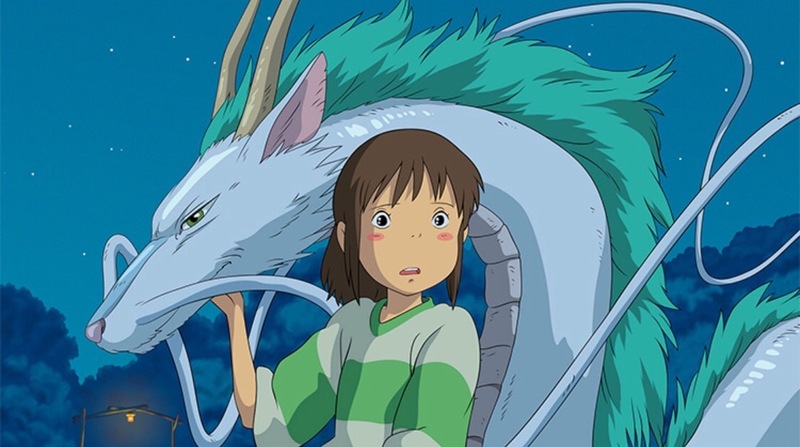 To represent Chinese dragons we have Haku from Spirited Away. I know it’s a Japanese film so technically it’s a Japanese dragon but the serpentine beasts in Japanese folklore where very heavily influenced by those in China (and to a lesser extent India) so they are essentially the same thing. Haku is just so graceful too, he had to be on the list. I first came across the 2007 Korean film Dragon Wars when I saw it showcasing the picture quality of a state of the art TV in some electrical store somewhere. It looked amazing and I couldn’t believe I’d never heard of it before. This just goes to show that everything looks great on those TV because the movie is actually terrible, but engagingly so. To be fair the dragons were still impressive. 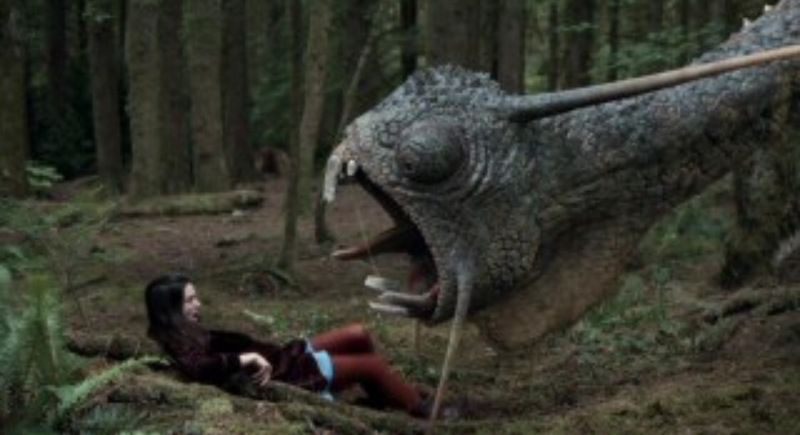 Lewis Carroll’s Jabberwocky has made it to the screen a few times with Terry Gilliam and Tim Burton giving us the most well known versions. On this occasion though I am heralding a 2009 TV movie from Canadian channel Showcase that featured Kathy Bates as Queen of Hearts. This contemporary telling of Alice in Wonderland used the design of the whiffling, burbling creature from John Tenniel’s brilliant original book illustrations and for this reason, if for no other, it should be celebrated. Every dragon mentioned so far exists only on the screen or in the databases of some computer somewhere. 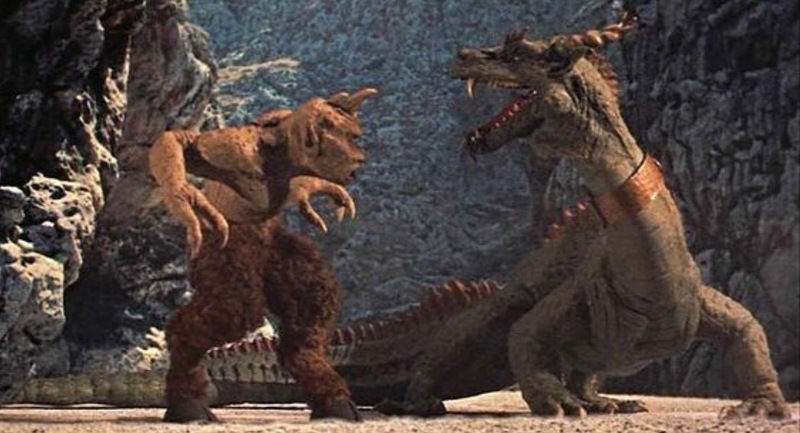 Ray Harryhausen, on the other hand, gave cinema goers a scaly fiend considerably more tangible in The 7th Voyage of Sinbad. Then he made it fight a cyclops which is cool. Two more conventions need to be recognised here; that of the Japanese Kaijū and that of the special effects technique of creating a monster by putting a man in a rubber suit. 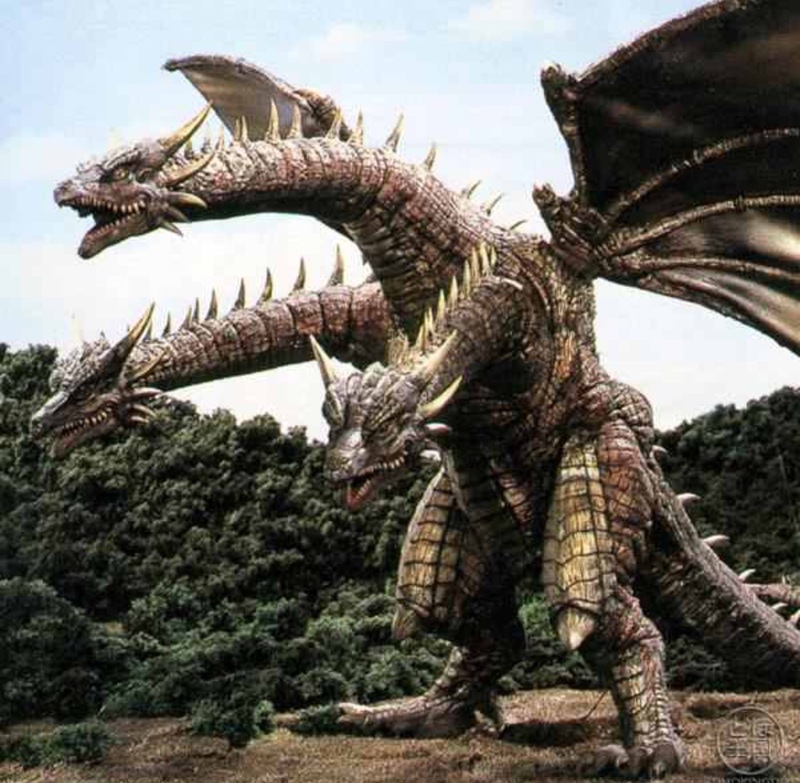 So it is that we have Ghidorah the Three Headed Monster from the fifth film in Godzilla series. See if you can work out where the actor has got his arms. We started with Disney and so shall we end. 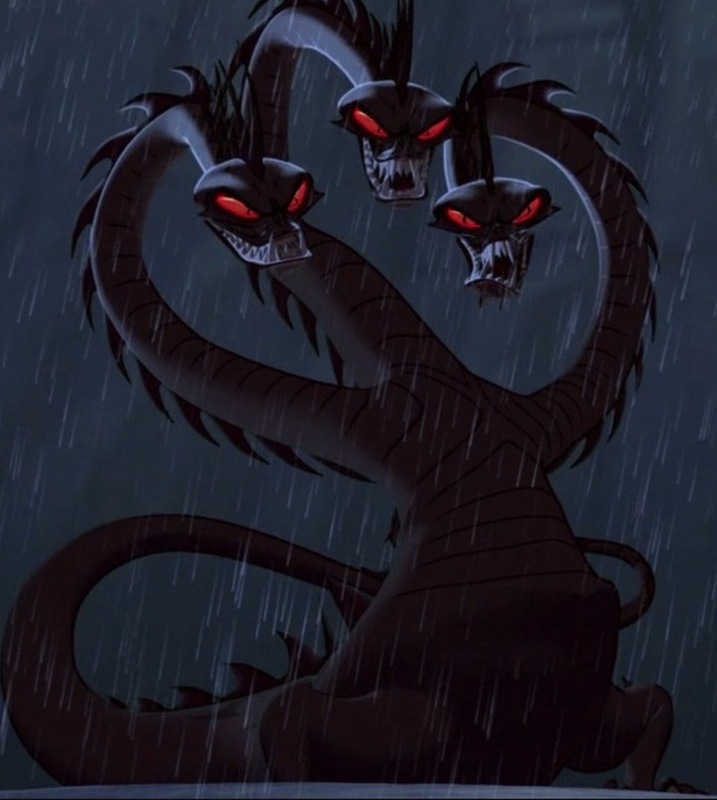 Political cartoonist Gerald Scarfe did the character designs for Disney’s Hercules and his pointy angular style worked beautifully alongside the early computer animation techniques to produce the stunning multi-headed Hydra. It’s no Ghidorah buts it’s impressive. 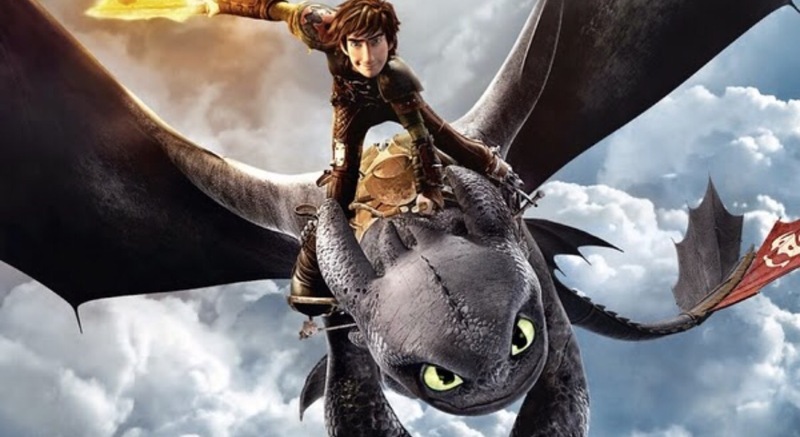 Tagged CGI, dragons, dragons in the movies, movie dragons, pete's dragonBookmark the permalink.